I was recently involved as an FOH engineer with ­e Rock and Worship Roadshow, produced by Compassion International, which ran from February 24 – April 2, 2017, at a variety of different locations starting in St. Louis. 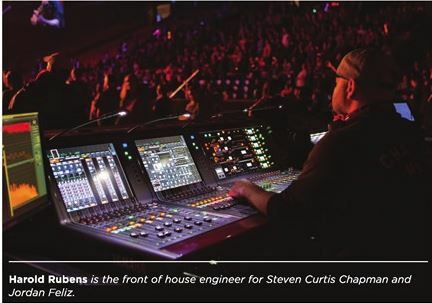 I was the front of house engineer for Jordan Feliz and Steven Curtis Chapman. ­e roadshow featured Francesca Battistelli, Passion Band, Rend Collective, Family Force 5, Derek Minor, and Urban Rescue. As the engineer for the headliner, I requested the Yamaha RIVAGE PM10 console for the tour from Spectrum Sound Inc., in Nashville, TN. I own a Yamaha CL5 digital console, and had heard great things about the PM10; however, I had only been able to play with it a few times prior to the tour using track playbacks. I knew that the onboard features like the Rupert Neve Designs compressors and equalizers along with TC Electronic reverbs and other plug-ins sounded really good, but I never got to use the new preamps and the Rupert Neve SILK Red/Blue processing feature until this tour. Since the PM10 was still relatively new, I hadn’t heard it in a live setting. I really wanted to take the opportunity the tour presented to test the console during a live tour situation. I was already familiar with Yamaha products going into this tour, so was expecting to feel comfortable with the console; however, engineers with other bands that weren’t as familiar with Yamaha were able to easily pick up the console and create the sound they needed without any difficulty. Getting around the desk and finding things was not dicult at all. ­e Yamaha user interface is very intuitive and every engineer on this tour jumped right in without any problems. My colleagues, mixing for the different artists on tour, were able to easily work with the console, see how it reacted to their needs, and tweak it for their performers. It was interesting to see that happen – while everyone raved about the sound, seeing how easy it was for them to basically use it from scratch and still make the audio fantastic was really fabulous. Even for me, being able to take this console through its paces and really work on it day in and day out was great. It was interesting to see how different engineers would set up to the console according to the way they prefer to work. Since the PM10 is so flexible, engineers could adjust settings with knobs, the Touch and Turn feature, the touch screen…they could even set up the bays and screens differently. Even though it was the same console for all the acts, it felt like a different console for each of the engineers, as no two set-ups were the same. One of the features I really enjoyed on the console was the ability to run a virtual sound check. From venue to venue, using virtual sound check, I was able to record different sets, and then play them back at different venues, which offered me the opportunity to mix the board and make adjustments on site without having to have the band present. 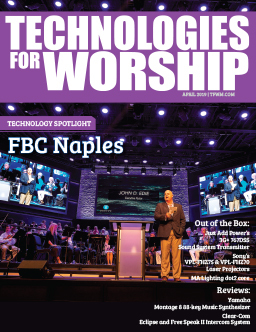 From a church perspective, this is huge – what better way to train volunteers or new engineers than by recording everything, playing it back through the PA at a later time, and fixing or tweaking the mix as needed? For a HoW to be able to come back during the week with their team, listen to what their mix sounded like at service, and discuss what worked, what didn’t and dial in what they like ahead of time is huge. Not only is this a great team building exercise, but it o­ffers your engineers the opportunity to get better. 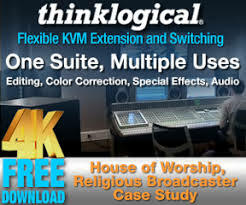 Virtual sound check can also be used to post produce audio for any video that needs to go up, or to remix worship and make it available online. In this day and age, when so many worship teams are recording original music, the ability to mix the audio via virtual sound check after the fact is amazing. 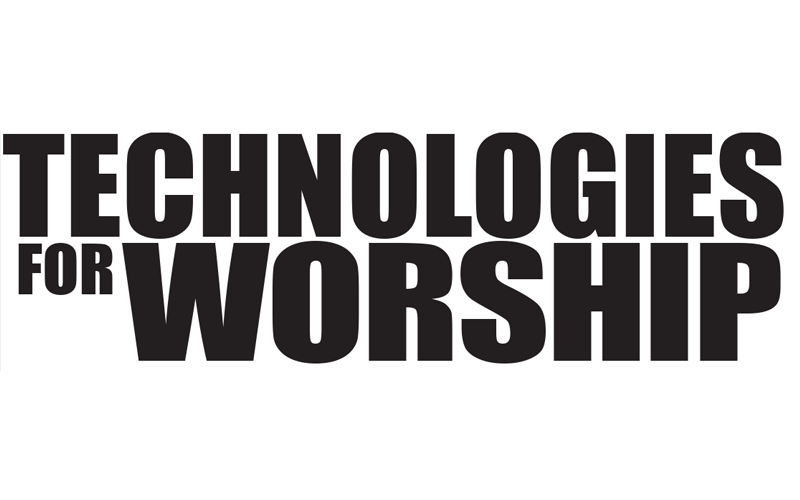 The live worship production world and the touring world has a lot of the same aspects to consider, which is why this is a great choice for houses of worship in fixed facilities as well. The PM10 is completely scalable – in our situation on tour, we ran roughly 64 inputs with patch changes on stage, which allowed us to keep some of the input counts down. My band was the largest channel count (with 52), but a house of worship can grow the console and add inputs easily. The great thing about the PM10 is that you are not locked into a set channel count. In a HoW, the console will be able to meet current needs, and also grow to meet future needs, which is an important consideration.